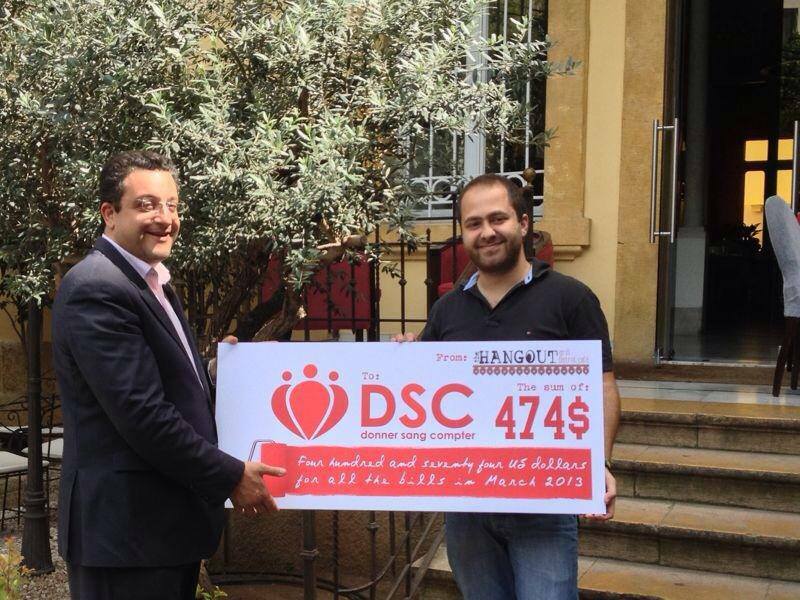 »Contributions»The Hangout Beirut Keeps Its Promise, Delivers 474$ To DSC! The Hangout Beirut Keeps Its Promise, Delivers 474$ To DSC! During the month of March, the Hangout Beirut donated one dollar for each bill to Donner Sang Compter. We are extremely proud to tell you that we have received on May the 18th a check of 474$ which was raised for us. Thank you very much for the kind effort done. A very nice gesture of yours! We look forward to future collaborations! ← More Companies Save Lives With DSC!